Argentinians are a famously literary people. In coffee shops, parks, on the bus and even while walking down city streets, their heads are often buried in a book. 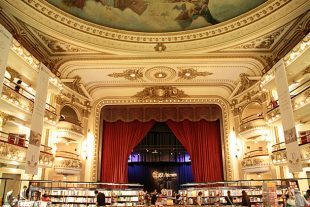 So it’s only fitting that Buenos Aires can lay claim to one of the world’s most incredible book stores: the Ateneo Grand Splendid.